The death angel visited the home of Mr. and Mrs. Matthew Tidwell last Thursday and carried away to heaven their little daughter, Mildred. 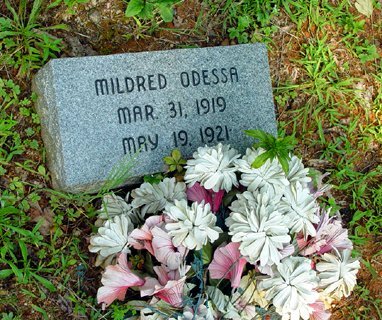 She was laid to rest at the Macedonia Cemetery, Rev. J.P. Cox and Rev. Smith holding services. We extend our heartfelt sympathy to the bereaved parents and grandparents.